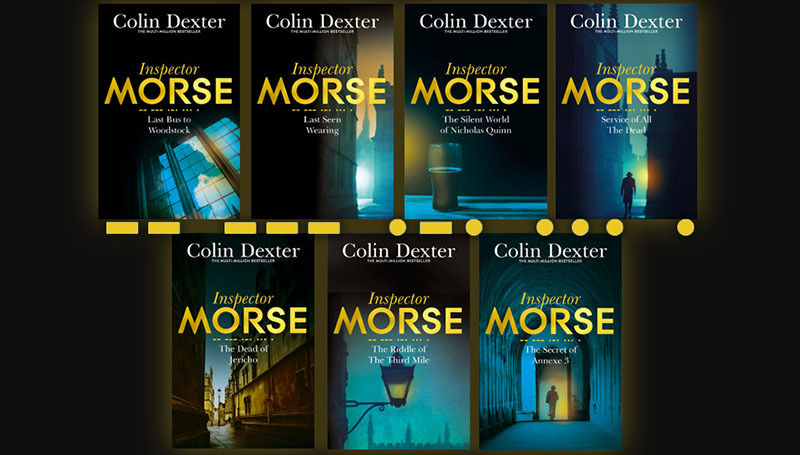 Colin Dexter's iconic Inspector Morse series was rereleased in 2016 as a very attractive new collection of paperbacks. Pour yourself a pint of real ale, stick on some Wagner and catch up with Morse. Colin Dexter's iconic Inspector Morse series was rereleased in 2016 as a very attractive new collection of paperbacks. Here are all the Inspector Morse books in order. Inspector Morse, famously played by John Thaw in the phenomenally popular TV series, first appeared in a series of thirteen bestselling novels by author Colin Dexter. Pour yourself a pint of real ale, stick on some Wagner and catch up with Morse. The first Inspector Morse mystery. ‘As he drove his chief down to Kidlington, Lewis returned the conversation to where it had begun. All of the Inspector Morse books are available now in Paperback, or as an Ebook or Audiobook!